When young Moji Riba started taking an interest in video cameras and filming, his father was a bit concerned. “I don’t want my son to end up as a cameraman,” he said, reflecting on the fact that a videographer was considered to be no more than a skilled worker in some sections of Indian society. He need not have worried. Moji went on to become both a well respected film maker and a teacher of mass communications. But more importantly, he has turned his skill into capturing and preserving the highly diverse cultures and traditions of his home state of Arunachal Pradesh in India’s north-east. Working below the mainstream media’s radar and improvising with available resources, Moji has been engaged in this pursuit passionately and diligently for nearly a dozen years. These efforts finally came into global spotlight in November 2008 when he was selected for a prestigious Rolex Award for Enterprise. Rolex recognised Moji for ‘helping to preserve and document the rich cultural heritage of India’s Arunachal Pradesh tribes’. He was among the 10 winners of the 2008 Rolex Awards, which for more than 30 years have supported pioneering work in science and medicine, technology and innovation, exploration and discovery, the environment and cultural heritage. The award was presented to him at a simple ceremony held in New Delhi on 22 January 2009. I was glad to be a ‘fly on the wall’ on that joyous occasion, when Moji and fellow winner Romulus Whitaker were felicitated. In his short and witty acceptance speech, Moji thanked everyone who has believed and supported his team’s work. His wife Purnima and two young children were there, along with several friends some of who had especially flown in for the occasion. Moji acknowledged his father, who, alas, didn’t live to share this proud moment. Through a rigorous and discerning selection process, Rolex Awards support path-breaking work in progress, giving laureates new momentum and recognition. In the 2008 award cycle, Moji was one of 10 enterprising individuals chosen from among nearly 1,500 applicants in 127 countries by an independent panel of scientists, educators, economists and other experts. Enthused by the Rolex Award, Moji will return to pursue his most ambitious project yet to preserve the living cultural heritage of Arunachal Pradesh, home to 26 major tribal communities. Each one has its own distinctive dialect, lifestyle, faith, traditional practices and social mores. They live side by side with about 30 smaller communities. Moji sees this richness “like a wonderful shawl woven in a myriad of colours and patterns”. In recent years, this heritage has come under pressure from economic development, improved means of communication, the exodus of the young and the gradual renunciation of animist beliefs for mainstream religions. Instead of challenging these larger processes beyond anybody’s control, Moji is trying to harness digital technology to capture at least the essence of it for posterity. That’s the basic idea behind the Mountain Eye Project, an unconventional initiative of his Centre for Cultural Research and Documentation (CCRD) based in Naharlagun. Magic Eye aims to create a ‘cinematic time capsule’ documenting a year in the life of 15 different ethnic groups. Moji will train young people from each community to do the filming. This gives him access to enough film-makers as well as access to people with an intimate understanding of village life. Beginning in early 2009, these novice film-makers will capture a broad range of the tribes’ oral histories, as well as the rituals, ceremonies and festivals that take place over a year in their villages. Moji expects to collect about 300 hours of film per village, all of which will be recorded and archived in their native languages. He believes that the resulting 4,000+ hours of video will provide an invaluable record of life as it has been lived in his state for centuries. The project will also engage scholars belonging to the 15 tribes from the Rajiv Gandhi University at Itanagar to analyse and translate this vast amount of data and organize it in a publicly accessible database. That’s how Moji Riba, Indian film-maker and cultural anthropologist, sums up the raison d’etre for his work. He has reasons to worry. He lives and works in India’s north-eastern Arunachal Pradesh, which an isolated remote and sparsely populated part of the country that is home to 26 major tribal communities,. Each one has its own distinctive dialect, lifestyle, faith, traditional practices and social mores. They live side by side with about 30 smaller communities. Can anyone capture culture – a dynamic, hugely variable phenomenon – and preserve it in a museum or lab? Not quite. Preserving the communities as a living reservoir of culture is the best method. In addition, modern communication technologies can be used to record the myriad practices and memories – the indigenous knowledge and oral history of a people. This is just what Moji Riba has been doing for over a decade. 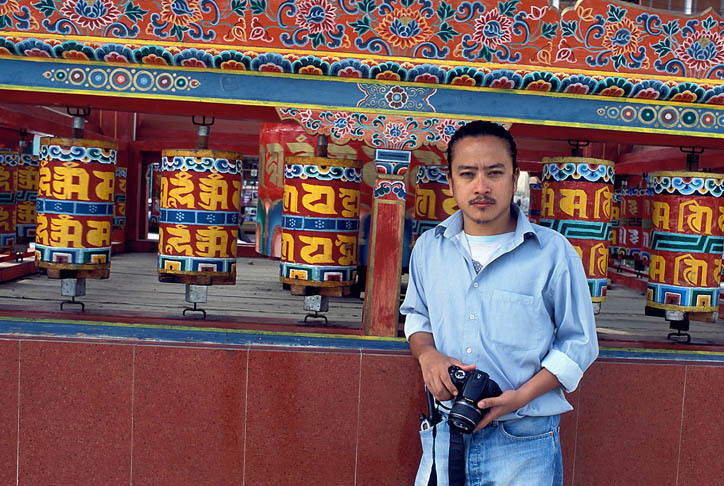 He founded and heads the Centre for Cultural Research and Documentation (CCRD) in Naharlagun, Arunachal Pradesh. The non-profit centre, established in 1997, focuses on audio-visual documentation of the folklore, ritual practices and oral histories of the diverse tribes that inhabit the north-eastern states of India and how the indigenous people are adapting to the processes of rapid change. Moji, who holds a masters degree in mass communication from the prestigious Mass Communication Research Center (MCRC), Jamia Millia Islamia University, New Delhi, could easily have joined the exodus of talent from his state to the metropolitan centres in India. But he chosen to return to his roots with his enhanced skills and expanded worldview. Over the past decade, he and the centre have made 35 documentaries for television stations and for government and non-governmental agencies. But the centre is more than just an archive or library: it is also a platform offering the tribal people an opportunity to voice their concerns and share experiences. In 2004, Moji was instrumental in creating the diploma in mass communications at Itanagar’s Rajiv Gandhi University, to augment understanding of cultural values and local customs. He currently divides his time as head of the university’s communications department and running CCRD. CCRD films have been showcased on Doordarshan, India’s national broadcaster, and various other national and international forums. Years of hard work and quiet persistence are beginning to pay off. Moji has just been selected as an Associate Laureate of Rolex Awards for Enterprise, a prestigious global honour. He is being recognised for ‘helping to preserve and document the rich cultural heritage of India’s Arunachal Pradesh tribes’. He is among the 10 winners of the 2008 Rolex Awards for Enterprise, which for more than 30 years have supported pioneering work in science and medicine, technology and innovation, exploration and discovery, the environment and cultural heritage. I have known Moji for half a decade, in which time my admiration for him has continued to grow. We first met during a South Asian TV training workshop TVE Asia Pacific organised in Kathmandu in October 2003. Since then, Moji worked with us as a freelance film director and producer. In 2005, he directed Deep Divide, a half-hour, three-country documentary on the state of environmental justice in South Asia. 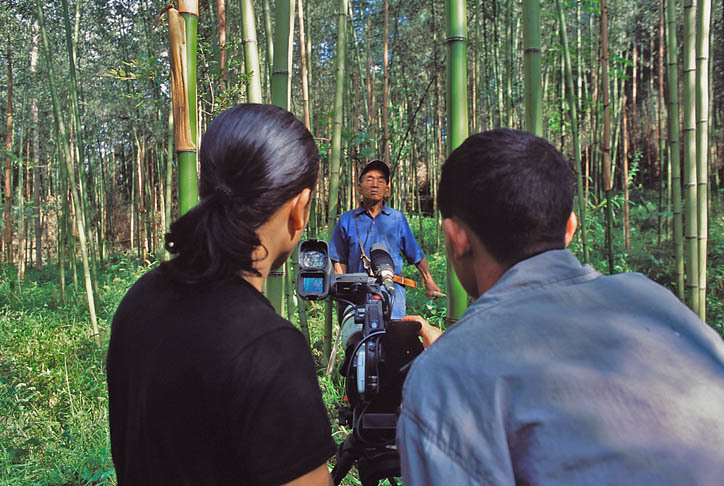 In 2006, he filmed stories for TVEAP series Digita4Change (in Bhutan) and The Greenbelt Reports (in three locations in India). With support from the Rolex Award, Moji and CCRD plan to implement in 2009 the Mountain Eye Project, an unconventional and ambitious initiative that aims to create a cinematic time capsule documenting a year in the life of 15 different ethnic groups. They will select and train young people from each community to do the filming. This gives him access to enough film-makers as well as access to people with an intimate understanding of village life. According to Moji, the Mountain eye Project is the result of the learnings that have emerged from about a decade’s work on documentation of the folklore and cultural heritage of the tribal groups in northeast India. It seeks to involve local communities in extensively documenting the disappearing cultural practices and traditional knowledge and to build an audio-visual archive of this data. It also proposes to activate a vast network of outreach activities through museums in order to inculcate in children and youth, an appreciation of traditional heritage and creating respect for cultural diversity.